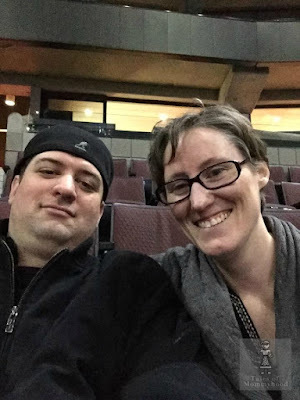 Tales of Mommyhood: Happy 7th Anniversary to us! 7 years ago, hubby and I got married. We purposely planned a wedding for the first weekend in February because I wanted wedding pictures with snow in them. The first 3 weekends in February are celebrated with Winterlude here in Ottawa, and I had envisioned having pictures taken on the rideau canal. However - February 4, 2006 was met with grey skies, bare streets and instead of the beautiful snow I had hoped for, it ended up freezing rain later on that night. Being February, the sun sets earlier so we ran out of time and never did get those Rideau Canal photos done. 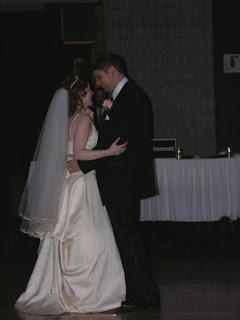 This didn't scar our wedding day at all - we said our vows in my favorite church, witnessed by our friends and family. We had a delicious dinner, an amazing party and now here we are, celebrating our 7th wedding anniversary. I remember our first anniversary - it was Superbowl Sunday and we had planned to spend the afternoon downtown on the canal, eating beavertails and then heading home to watch the superbowl.....that didnt' happen though. I was 3.5 months pregnant with Mr. J and suffering HORRIBLE morning sickness. We had headed out and hubby stopped at a Telus store (he needed a new phone) I sat in the truck (didn't feel like going in) and the sickness hit again....I willed it to stay away, and told hubby when he got back in the truck that there was no way I could go downtown. We headed home, camped out on the couch and watched movies. We didn't end up watching the superbowl (first one in our relationship history we have missed). Our 5th anniversary, we planned on ordering chinese food after the boys went to bed and watching movies. Apparently they didn't get the memo though - neither of them ended up sleeping and crashed our anniversary dinner. So here we are, 7 years later. Lots of good times, some not so good times - but always making it through to the other side. Happy anniversary babe, love you.